Working with TMPro is easy. 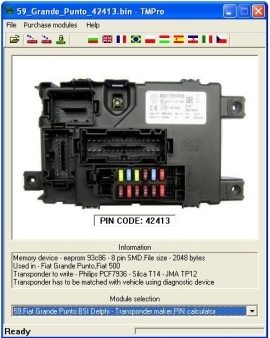 After that start software, press OPEN FILE and load eeprom dump into software. You can also drag-and-drop file for easier loading. 2If file is recognised, software automatically goes to correct module and PROG button becomes active. 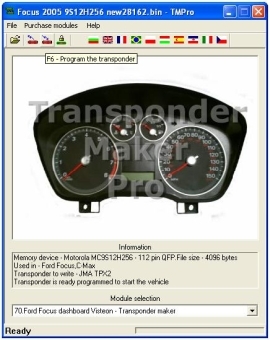 3Insert in programming hole needed transponder and press PROG. 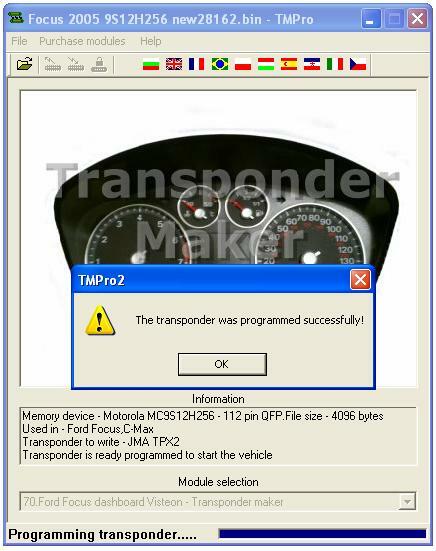 4At end of programming you get ready to start car or prepared for matching transponder.